The validation gives processing facilities an assurance on the reliability and efficiency of the company’s in-house environmental Listeria monitoring process. 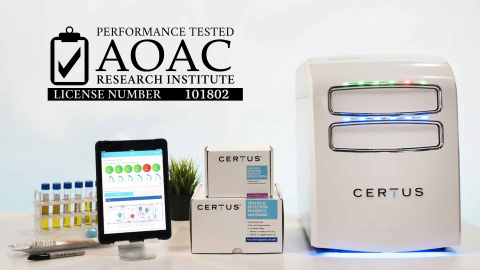 This week CERTUS announced that it achieved AOAC Performance Tested certification for its rapid pathogen detection platform, the CERTUS System. The system uses SERS nanoparticle technology and real-time detection to provide users with faster results versus sending the samples to a third-party via mail. 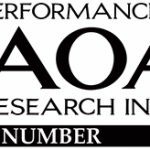 AOAC validation gives small-to-mid size processing facilities an assurance on the reliability and efficiency of CERTUS’s in-house environmental Listeria monitoring process, according to CERTUS.. The company’s system has been certified for use on stainless steel, concrete, plastic and ceramic surfaces. The CERTUS system provides 98% accuracy by targeting organisms without destroying them and reducing the effect of substances commonly found in environmental food samples on assay results. The Petrifilm Rapid E.Coli/Coliform Count Plate is a next-day indicator test. The third-party certification provides assurance to consumers that a product meets strict guidelines.